It was a great blessing to see that this book was chosen as the Handbook for the New Evangelization through the Message of Fatima. 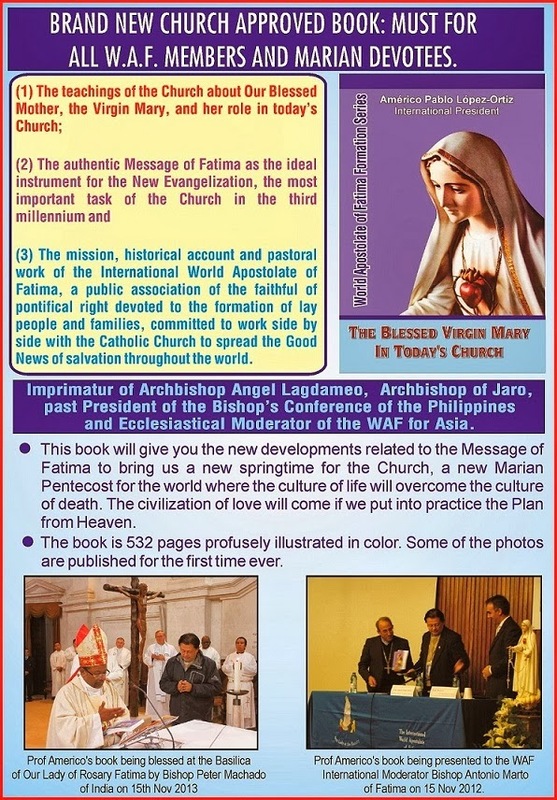 This book has imprimatur by the then President of the Bishop’s Conference of the Philippines, the second largest Catholic country in the world and the first speaking English. 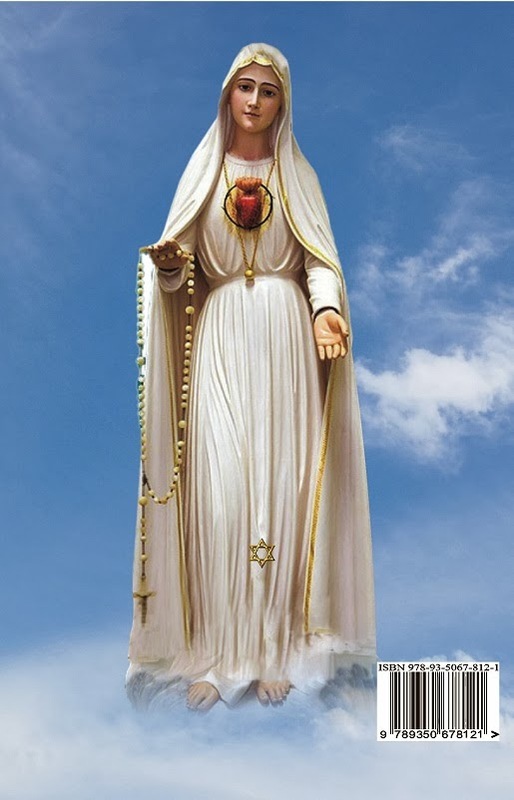 It has commendatory letters from Cardinal Tarcisio Bertone, Secretary of State and author of the book on Fatima “The Last Seer”, from Cardinal Stanyslaw Rylko, President of the Pontifical Council for the Laity; etc. Furthermore, the book was blessed in a special mass ceremony at the Basilica of Our Lady of Fatima, con celebrated by 7 bishops, and so on. 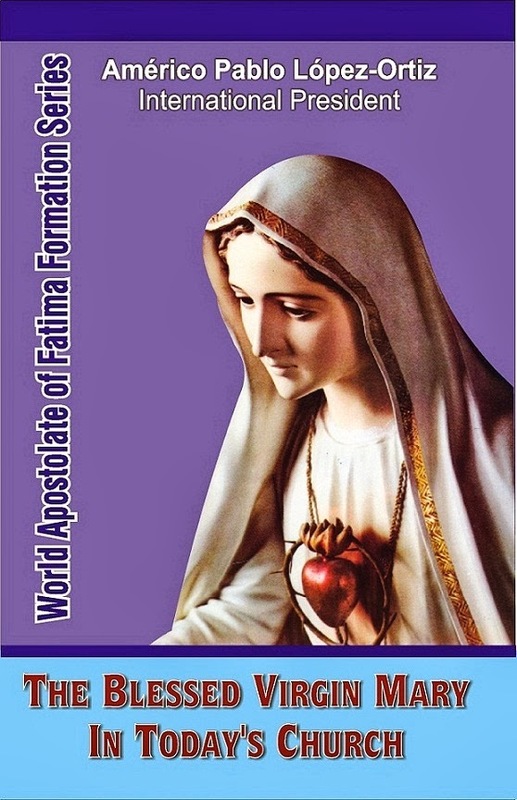 The Fatima community has celebrated the book as “the most comprehensive boon on Fatima, including all the new developments of the Message of Fatima and its most advanced interpretations (approved by the Church)”. Part Three: The World Apostolate of Fatima: A Marian Apostolate for our times, the history of my apostolic work to accomplish the approval of the Apostolate as an international public association of the faithful of pontifical right, approved permanently, and a summary of the 50 nations visited in Prof Americo's apostolic journeys to spread the Message of Fatima.